The fields of the historic Nash Ranch set the stage for the annual Mud Run where you will experience the best Mother Nature has to offer. This fun course will challenge your body and your tolerance for getting down right dirty! 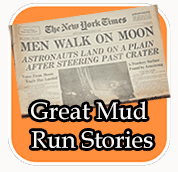 Among others, you can expect to slither through mud pits, scale wooden obstacles, swim across a pond, and slide down a mud hill on your quest to conquer all of the challenges. 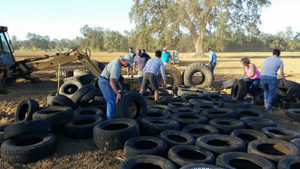 Should you choose, this year’s race will include the “Gladiator Pond Loop” ~ a one mile extension that is the most difficult challenge any racer will find this year at any mud run in Shasta County. Be sure to bring your buddies and family to watch as you are challenged by the creeks, hills, fields, mud holes, and many man-made obstacles in the race. You will have a blast enjoying what is sure to be the best muddy mess you have ever experienced! 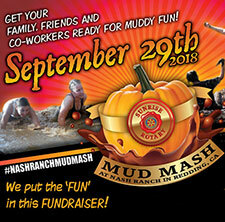 Don’t miss out on more mud, more food, more music, and more family activities ~ including the Nash Ranch Pumpkin Patch. You don’t have to worry about speed: the event is NOT timed…your goal is to complete the entire course! You will want to move as quickly as you can but your main objective is to master the obstacles while having a great time. You can complete the obstacles you feel comfortable with and don’t worry about the ones that aren’t your style. The day is all about fun, friendship, community and self-satisfaction.